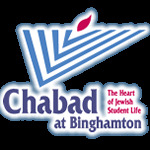 The Women’s League for Chabad offers Jewish women in Binghamton special programming geared towards strengthening spirituality and education. The league sponsors the much celebrated, annual Salute to Jewish Womanhood program which brings area women from across the denominational spectrum together for a program of education, inspiration and comradeship. The league also offers a local and national shalach manot service for the Purim holiday.